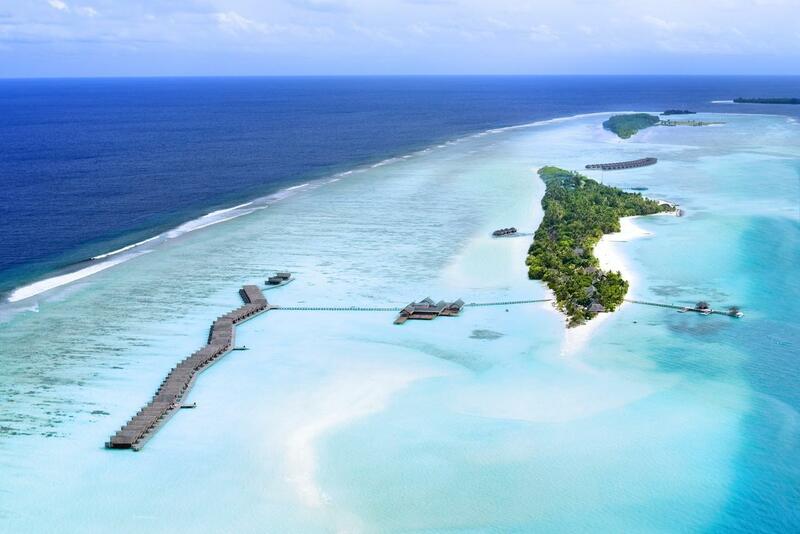 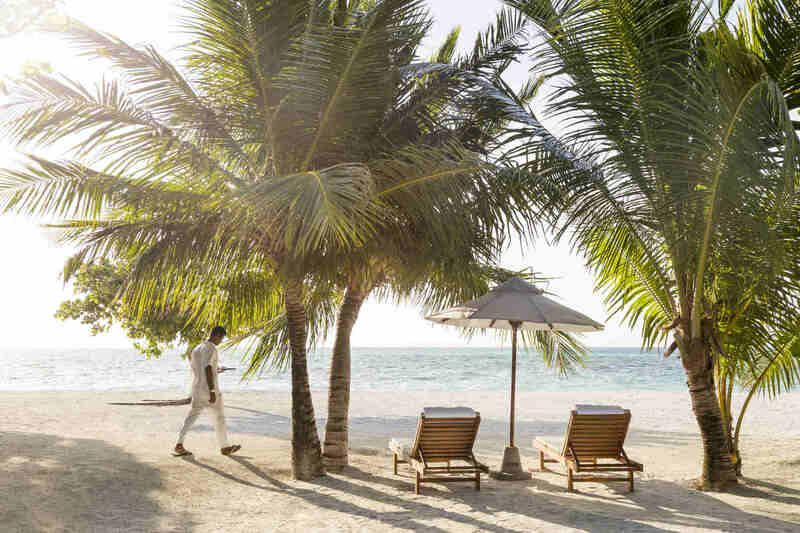 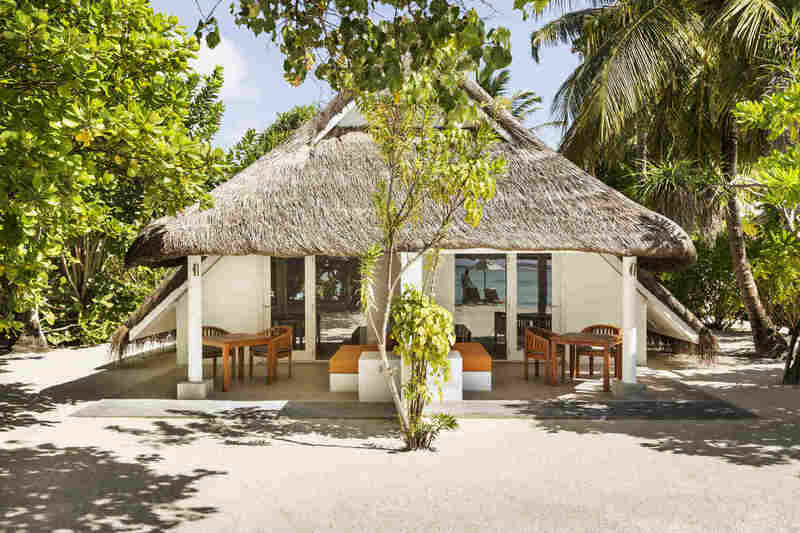 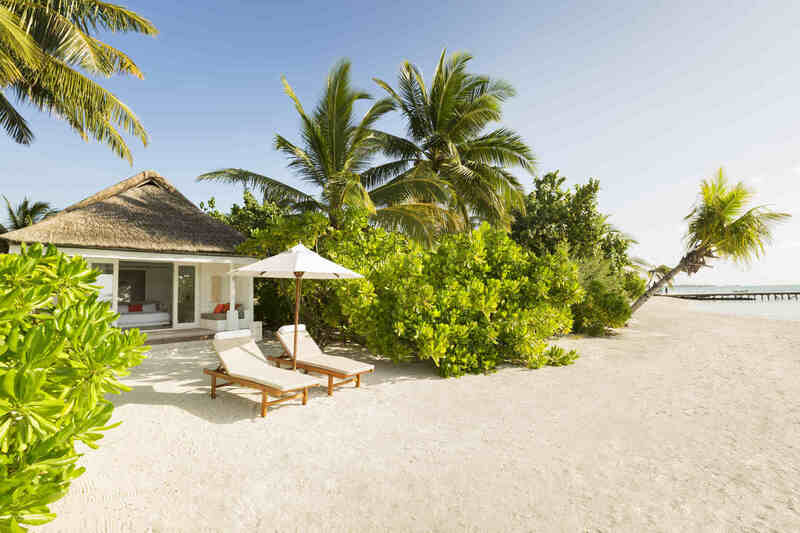 The island of Dhidhoofinolhu is one of the biggest in the Maldives, featuring four kilometres of silvery white beach stretching out to the sparkling waters of the natural lagoon. 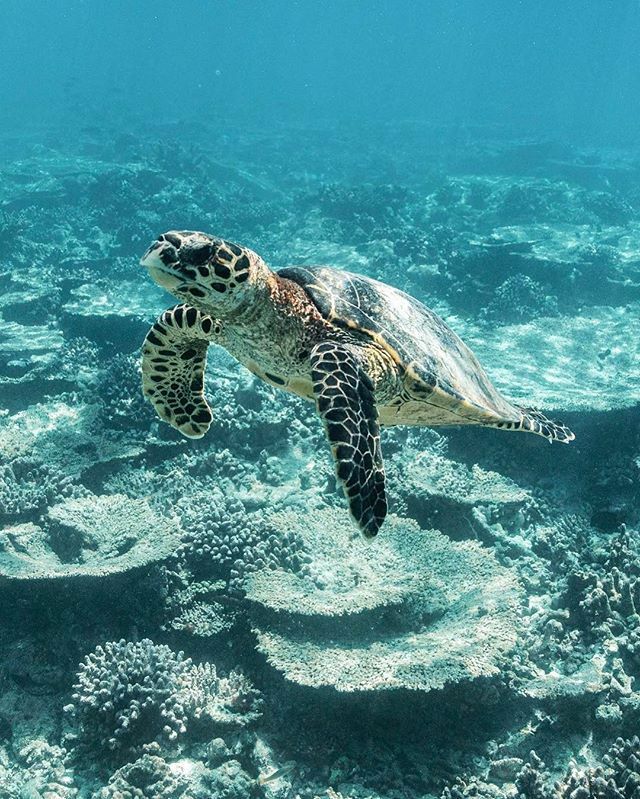 The clear waters of the ocean are home to an infinite variety of multi-coloured fish and other tropical marine species. 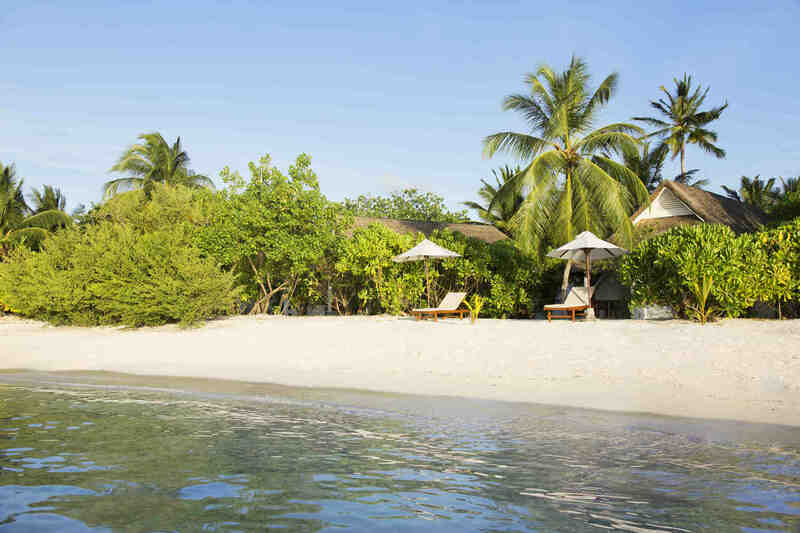 Inland, the island is a haven of lush, green foliage and vividly-coloured flowers. 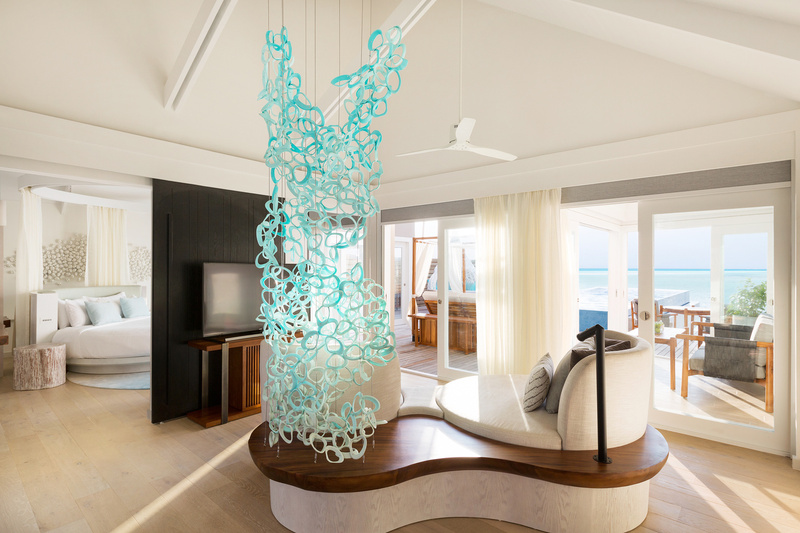 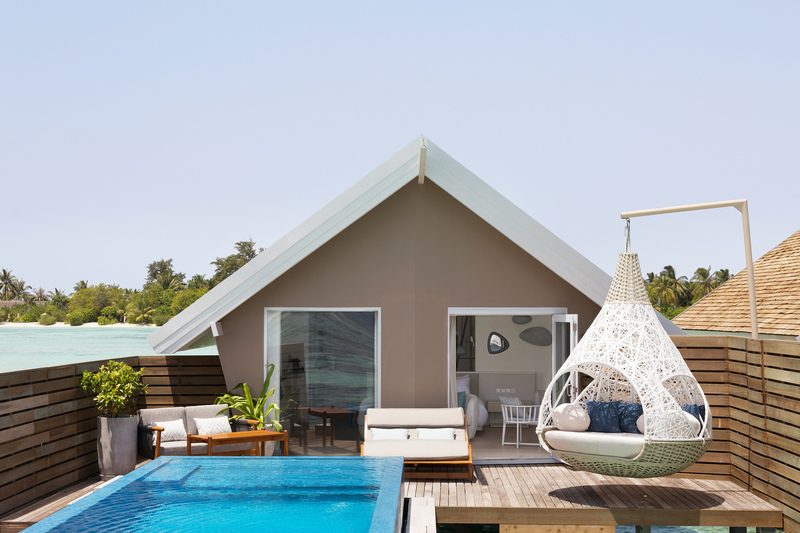 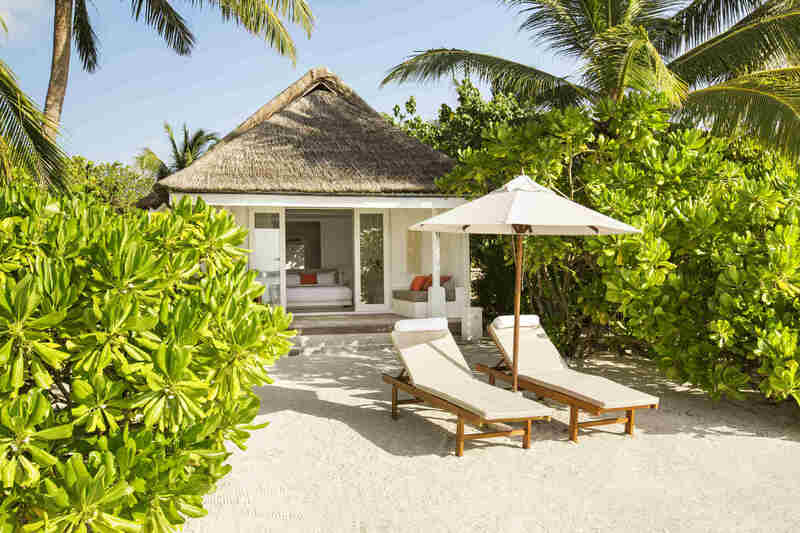 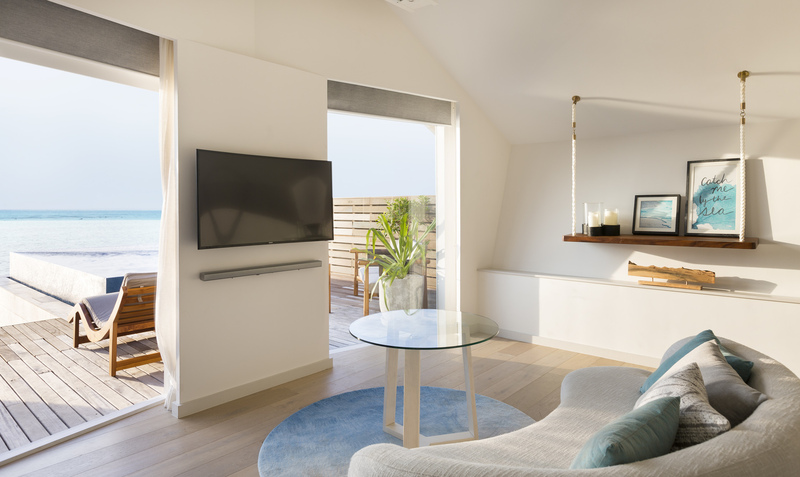 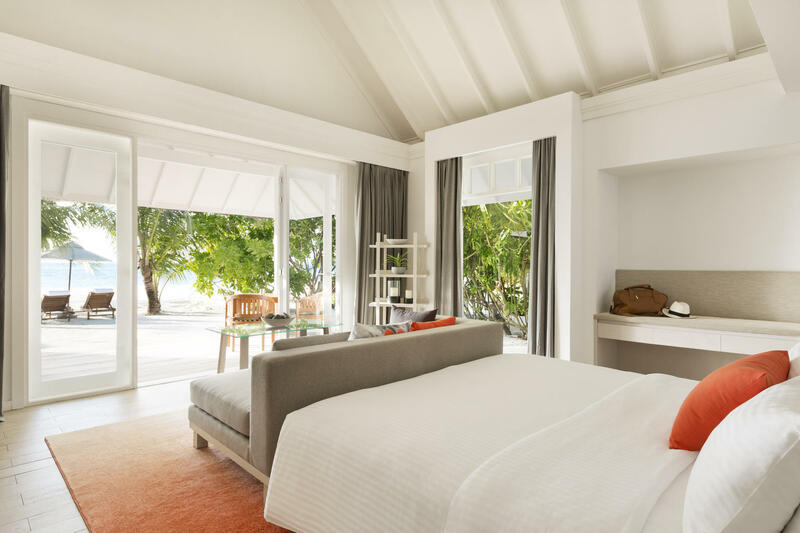 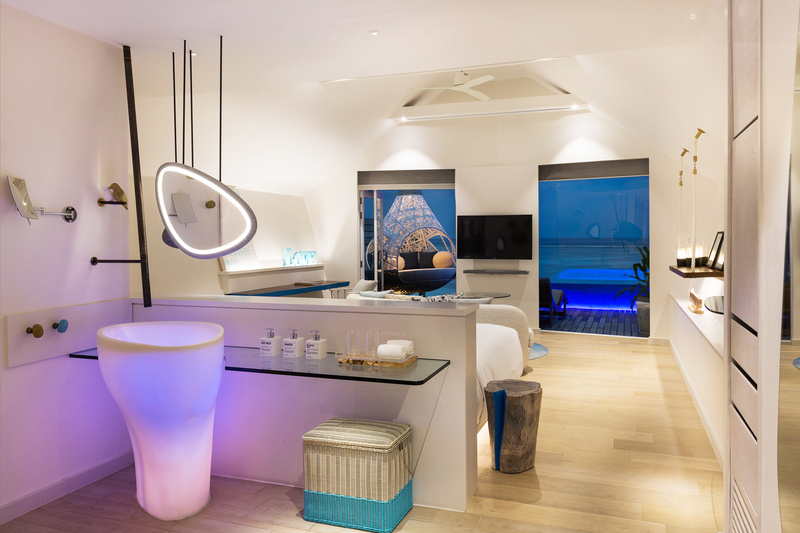 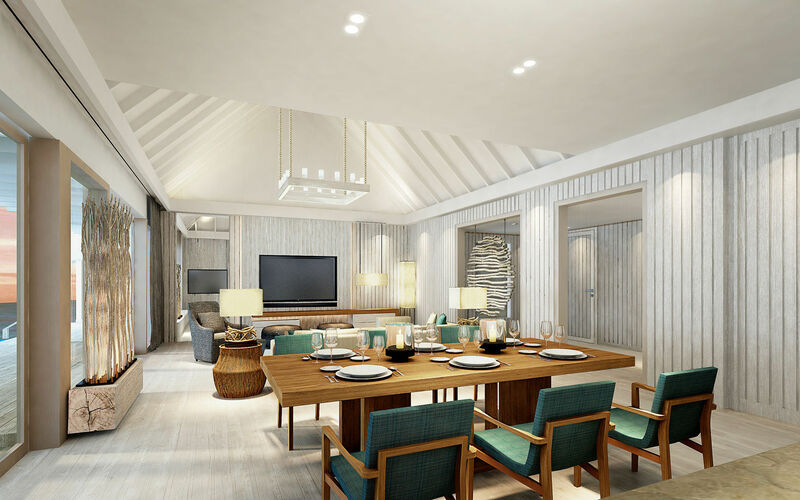 Light, breezy and ever so spacious with splashes of bright island shades, each villa has a sophisticated sense of simplicity and sweeping views over the sparkling lagoon and beach. 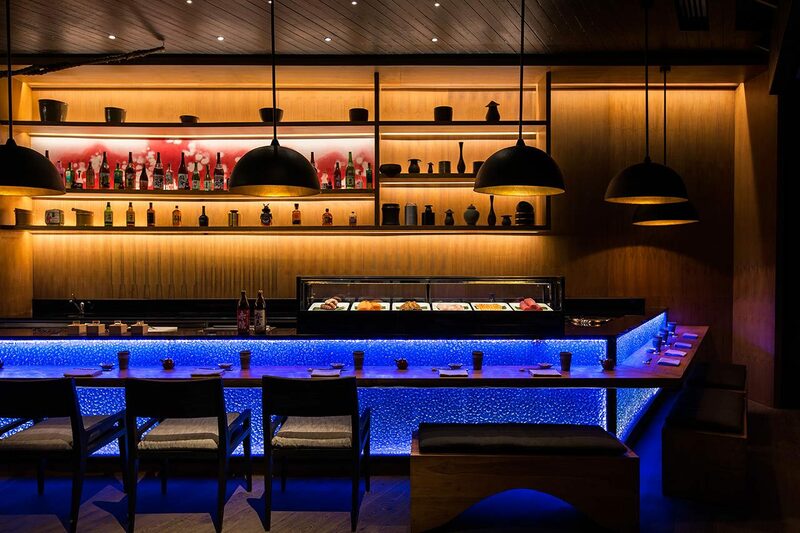 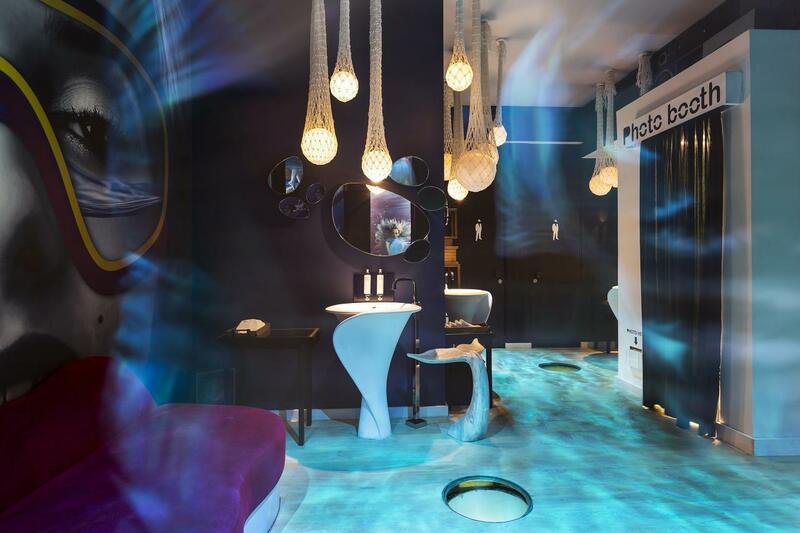 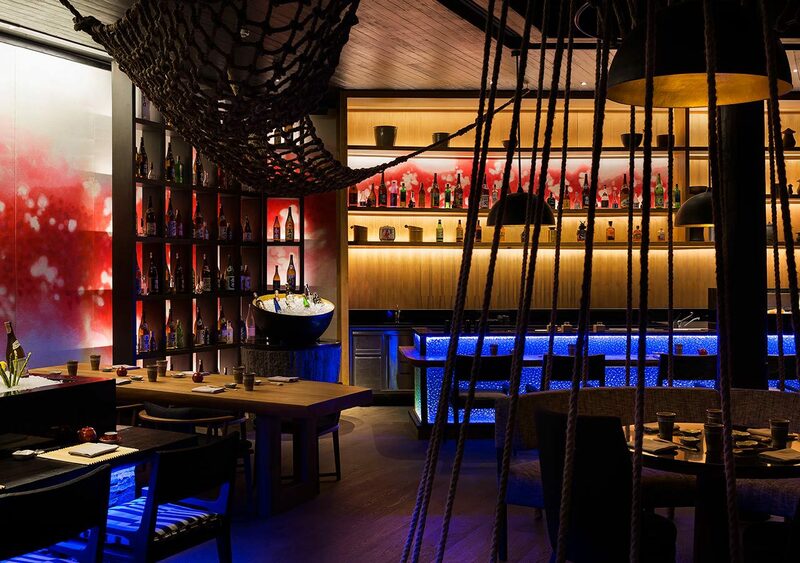 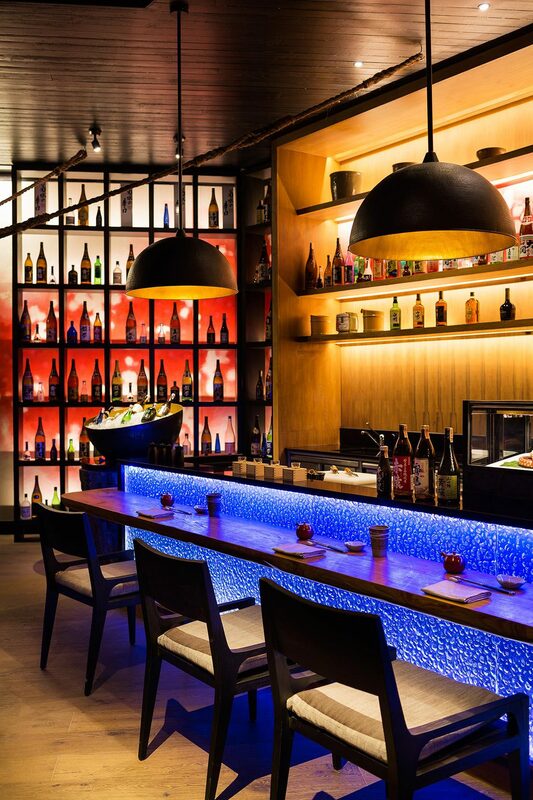 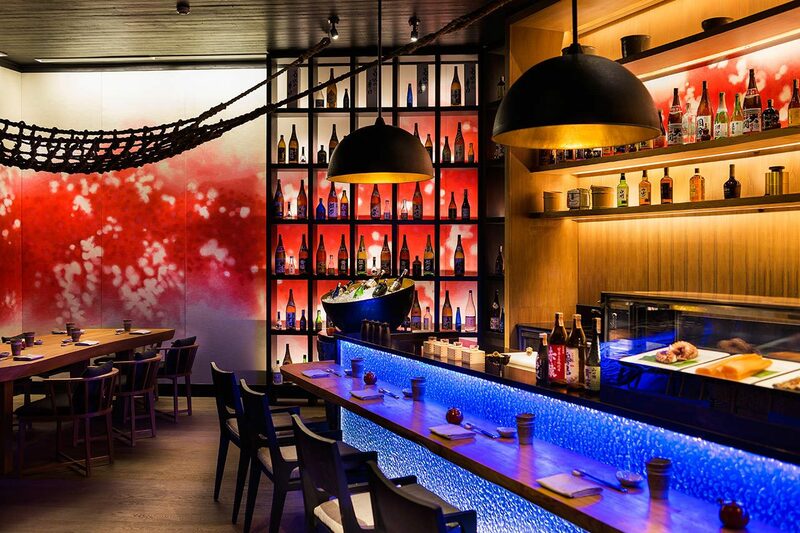 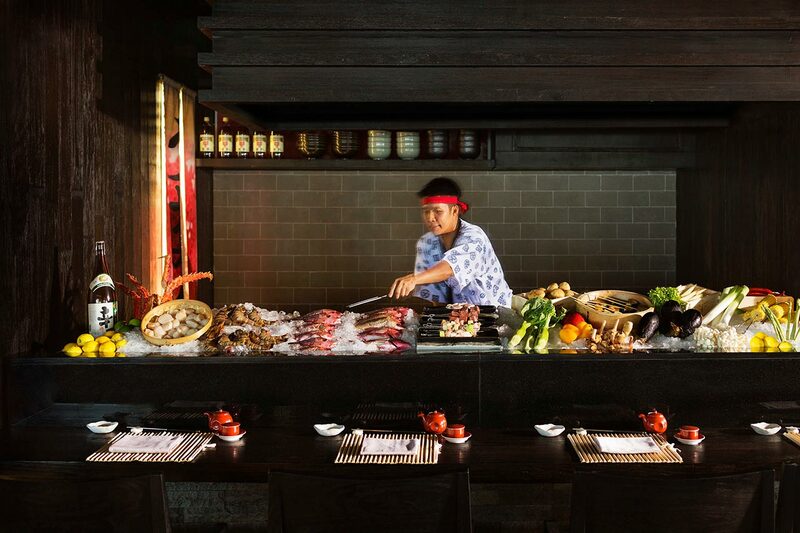 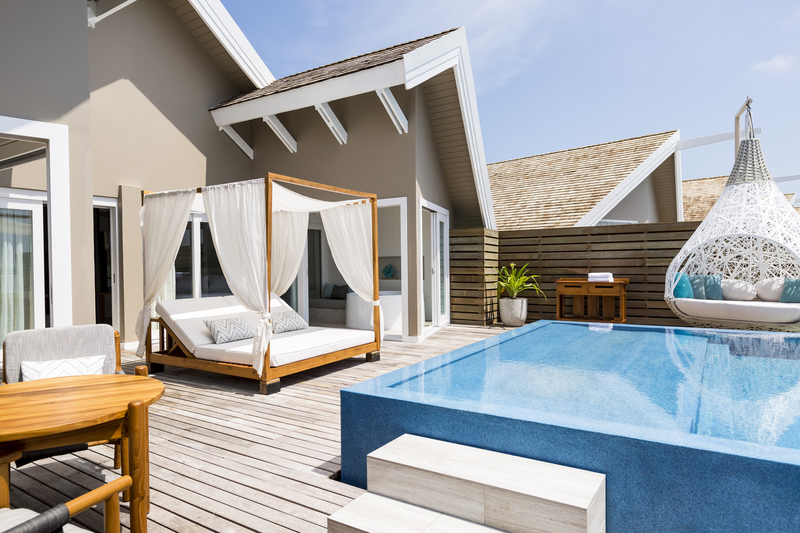 The world class PADI diving centre and a full range of water-sport activities are an attraction for many, but for those who prefer rest to recreation there is the luxurious LUX*Me spa, two swimming pools and an extensive choice of restaurants and bars. 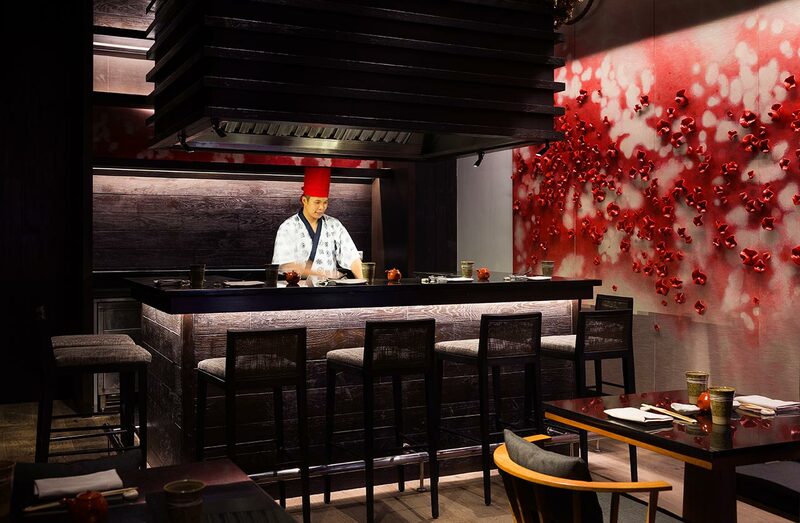 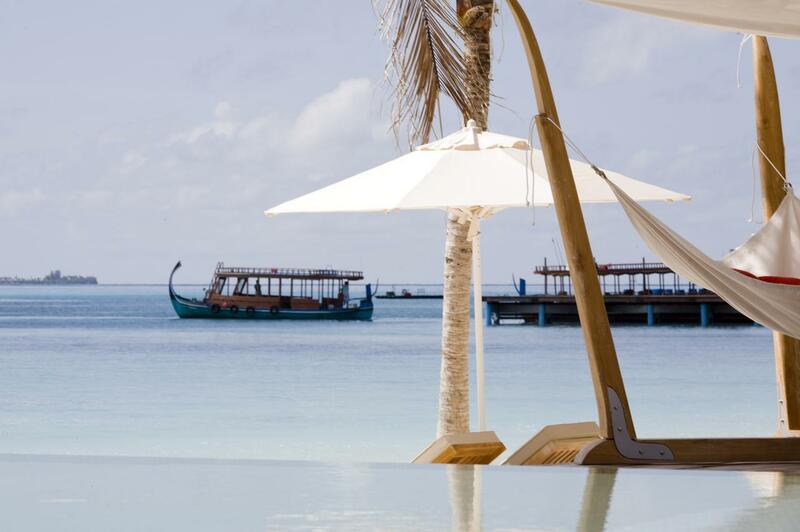 The resort also provides exciting entertainment and activities. 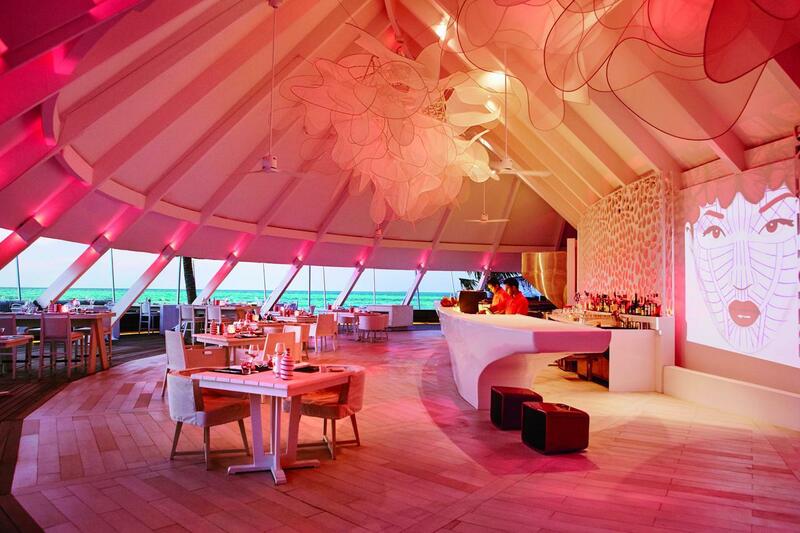 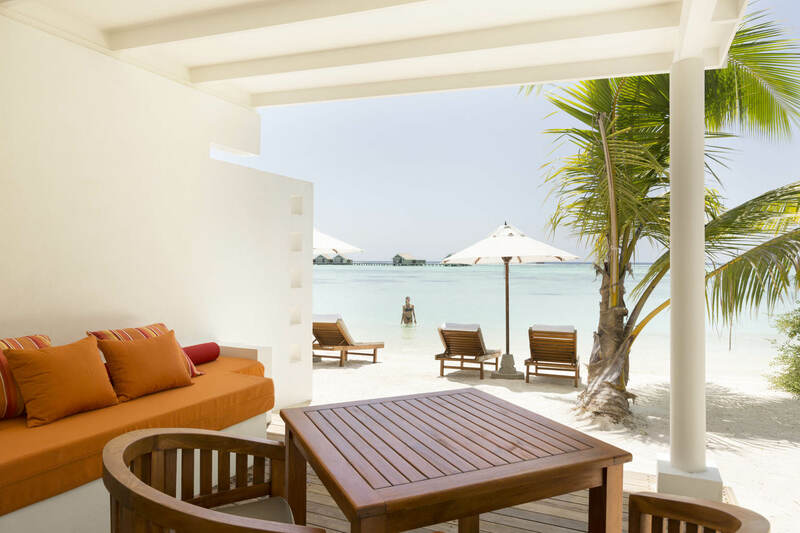 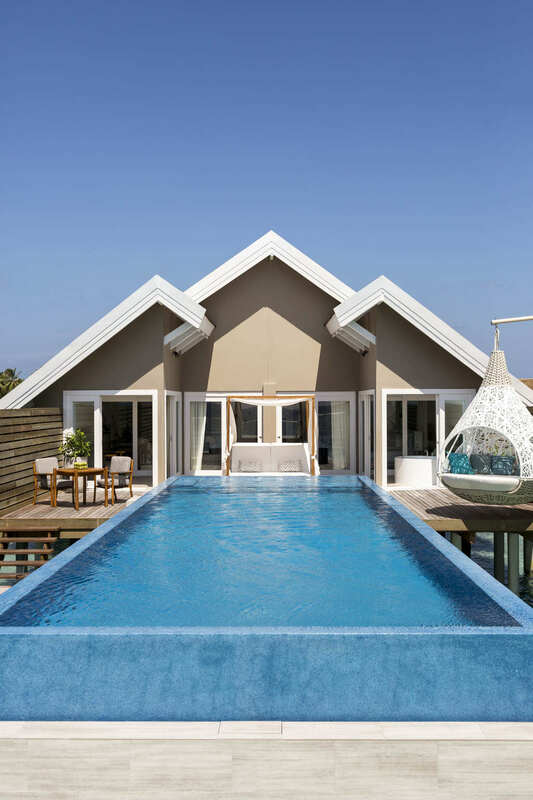 Enjoy sensational views over the lagoon from your spacious, west-facing Beach Pool Villa. 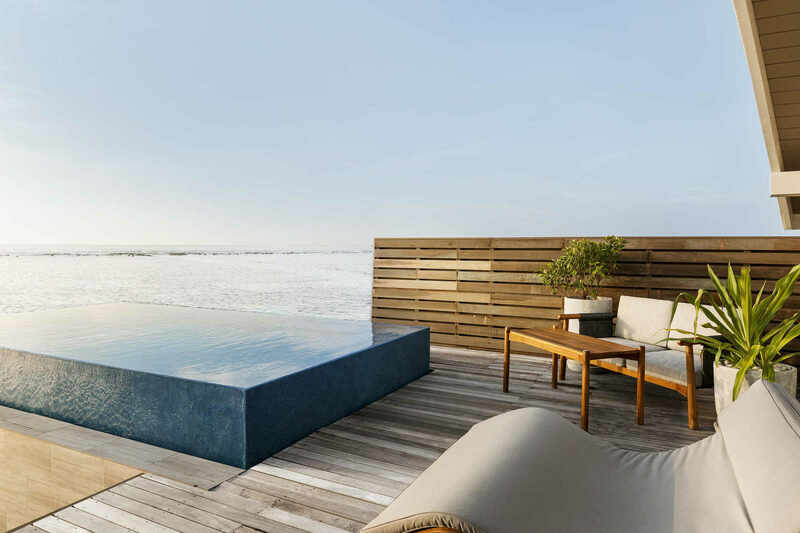 Light sandy tones bring the natural beauty of island living inside, while a private terrace unfolds into a luxurious living space outdoors. 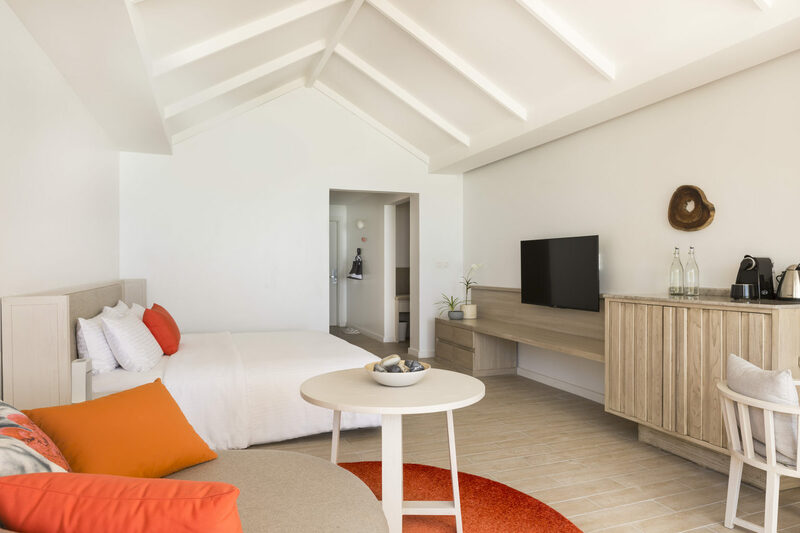 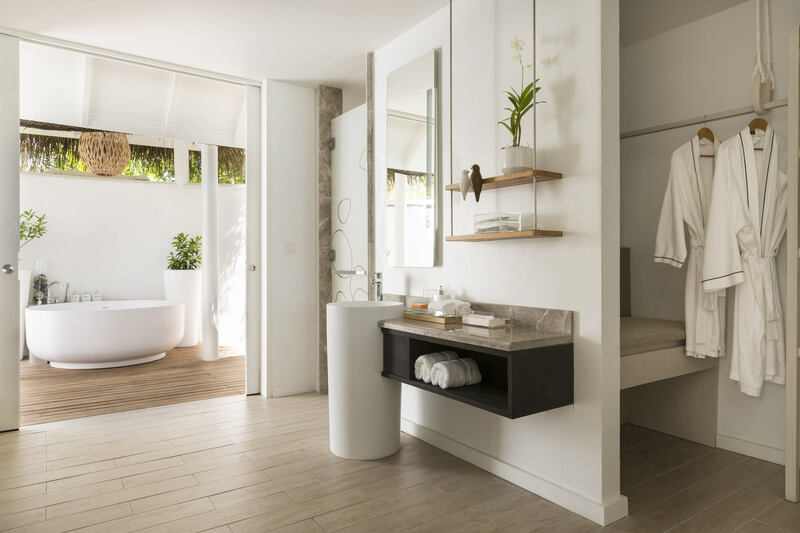 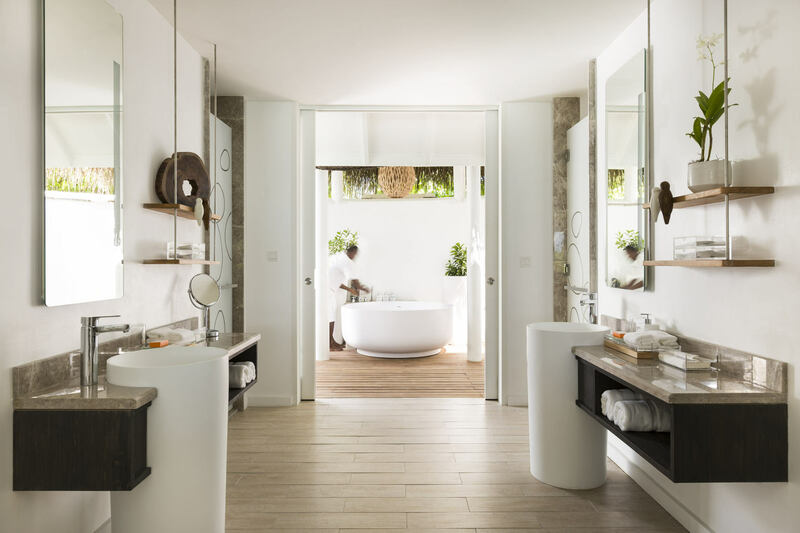 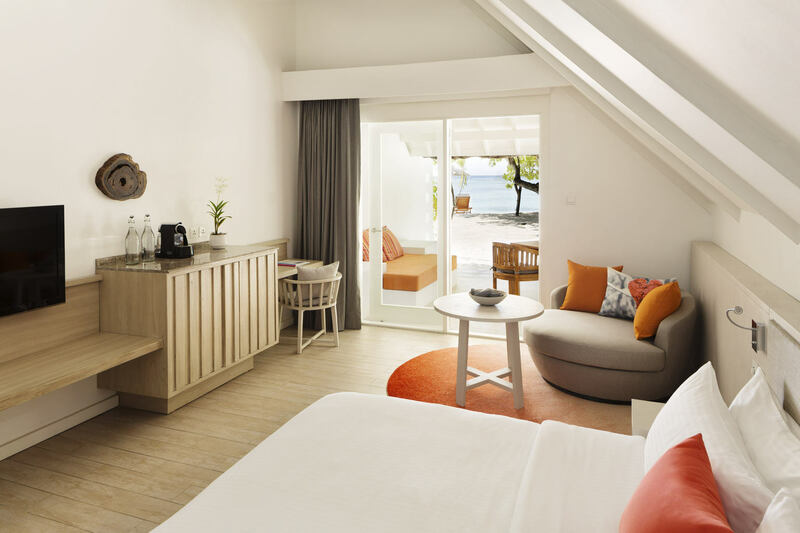 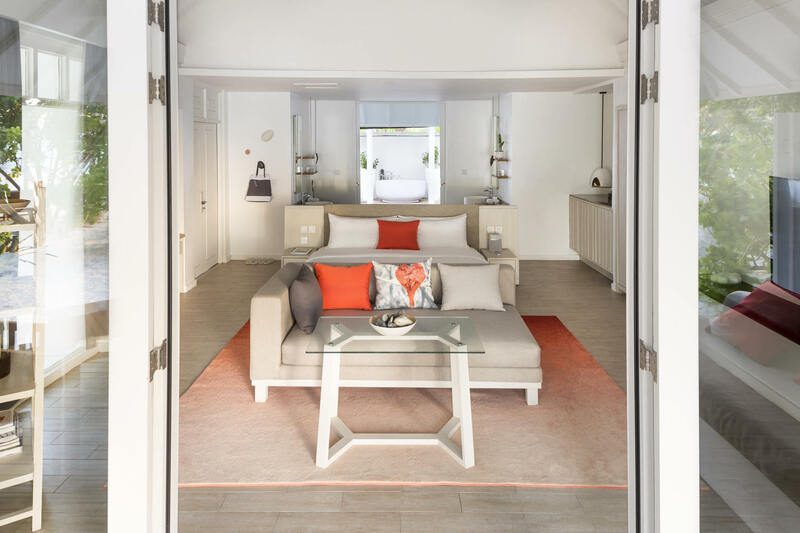 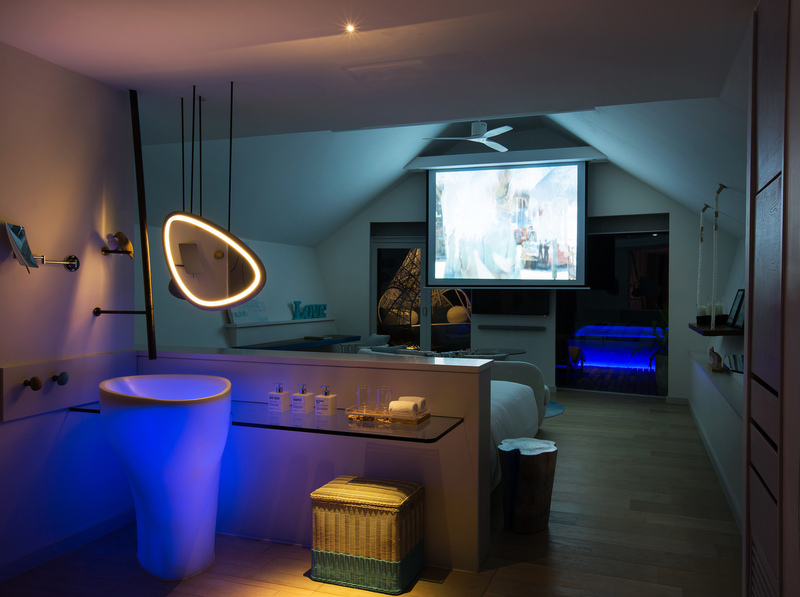 All guestrooms offer en suite bathrooms that open onto a private garden, along with a shower and separate bath. 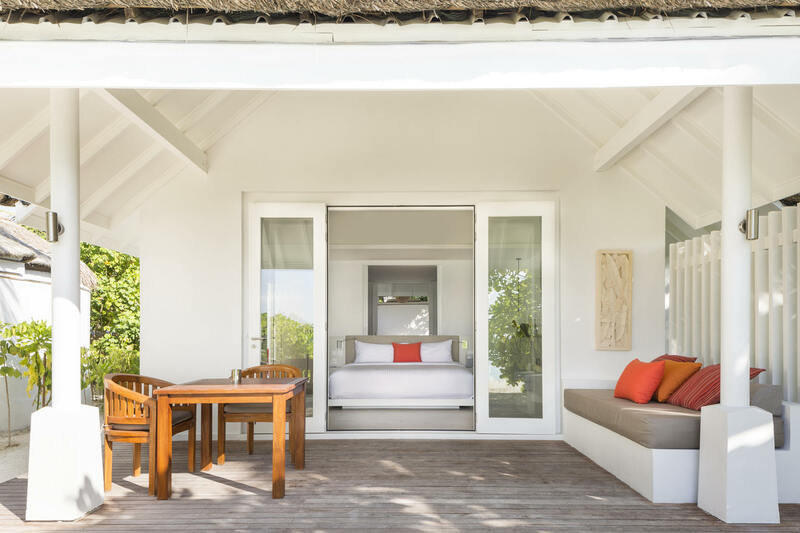 Relax in the privacy of your secluded garden with its sunken plunge pool, wooden deck, sun loungers and invigorating outdoor shower. 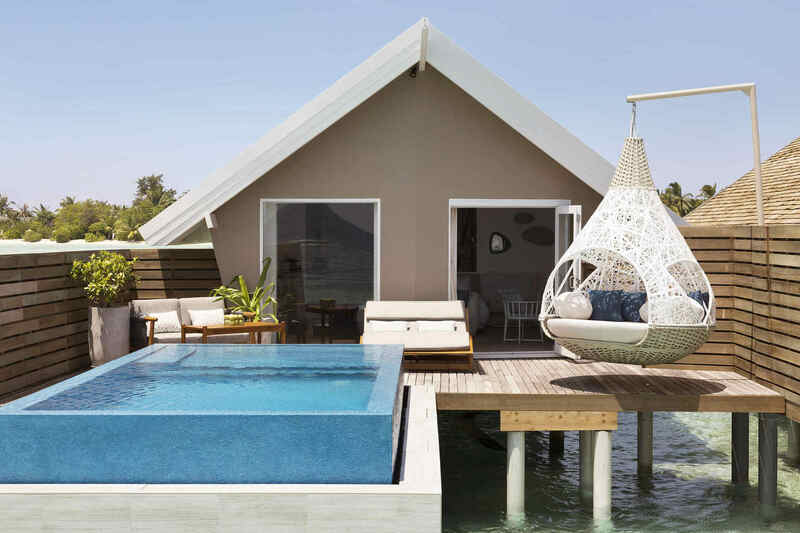 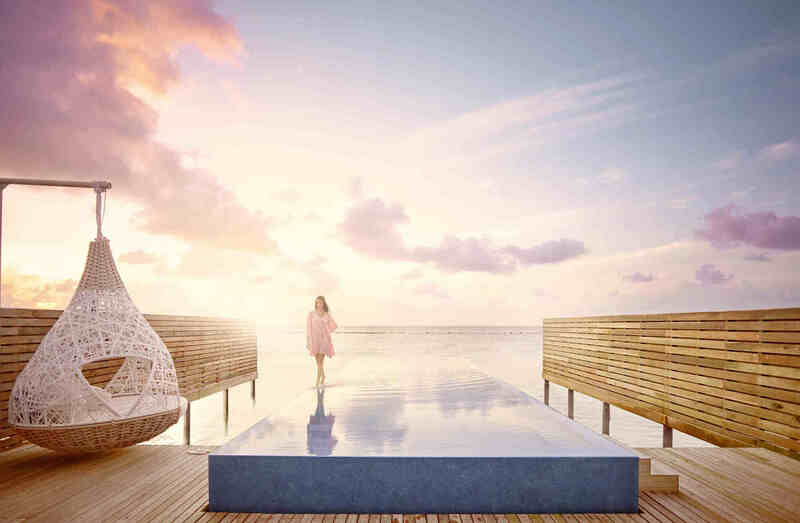 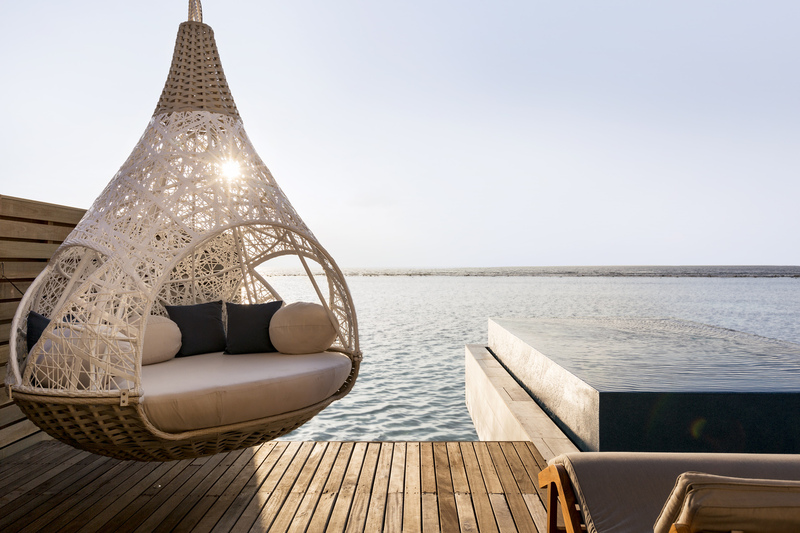 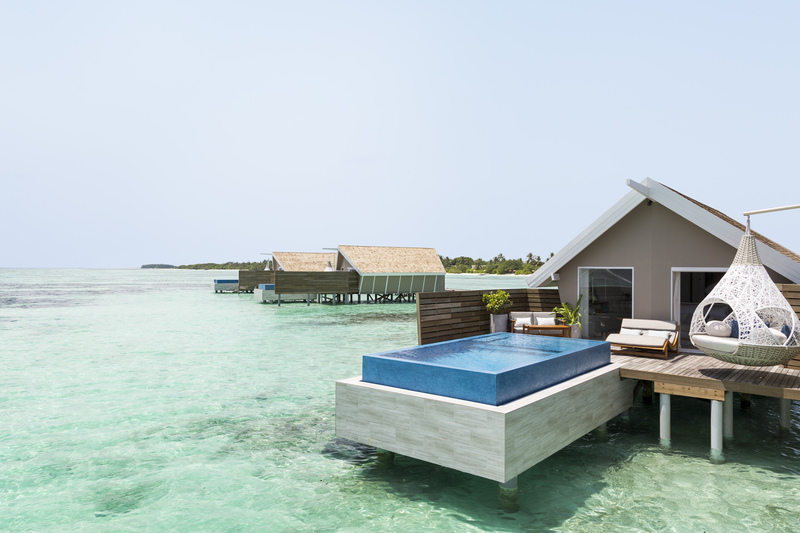 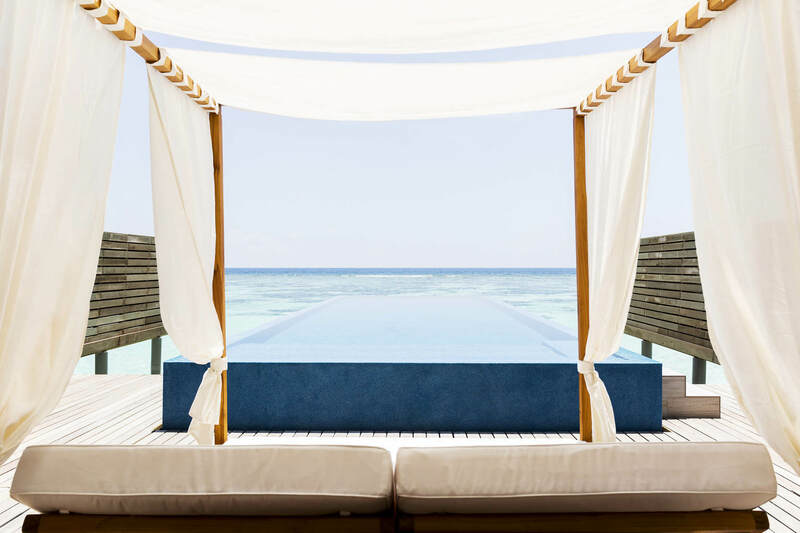 The luxurious Water Villas are suspended on stilts over the water, offering incredible views of the Indian Ocean and direct access to the lagoon. 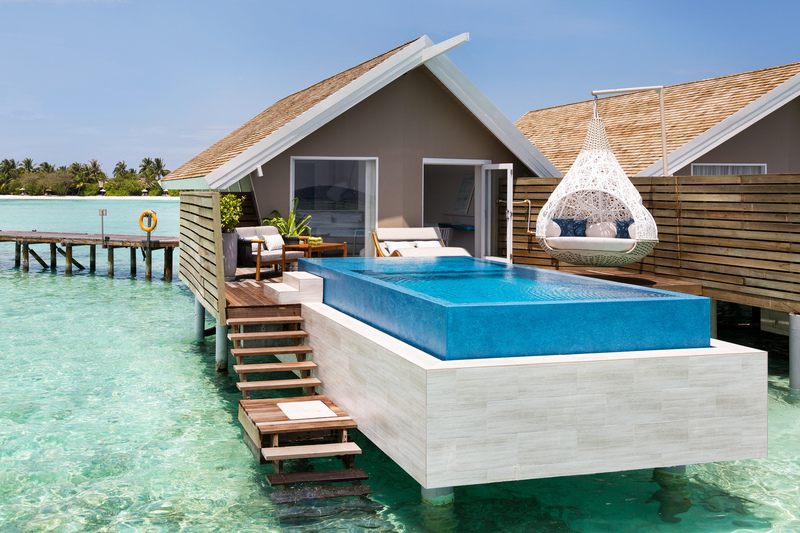 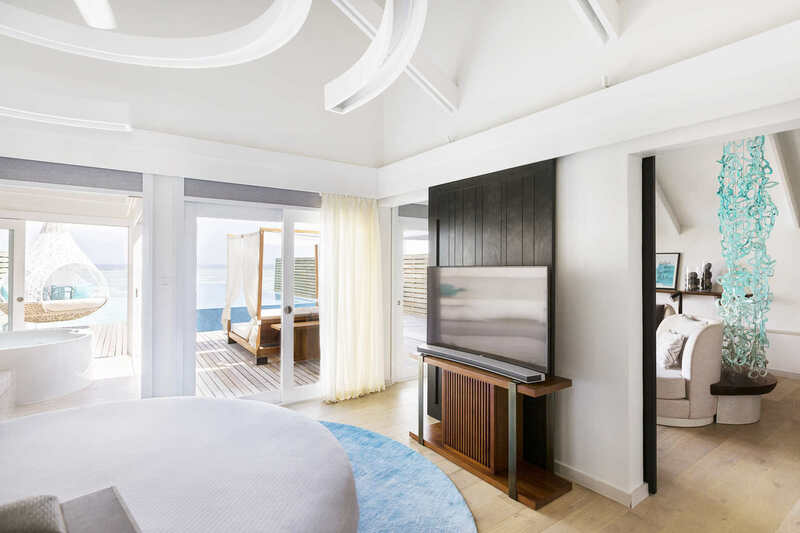 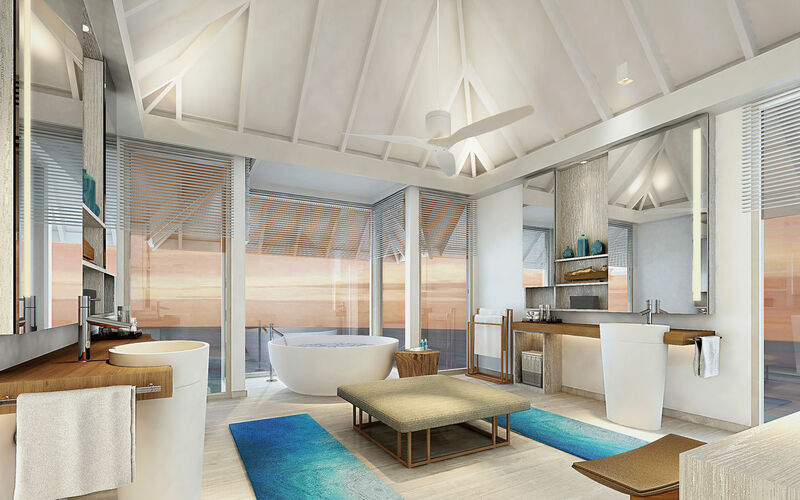 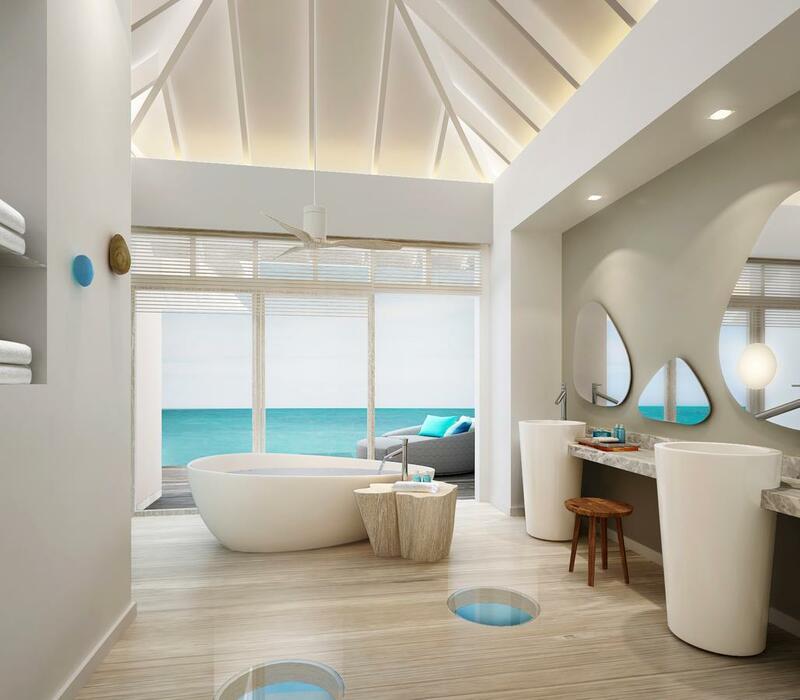 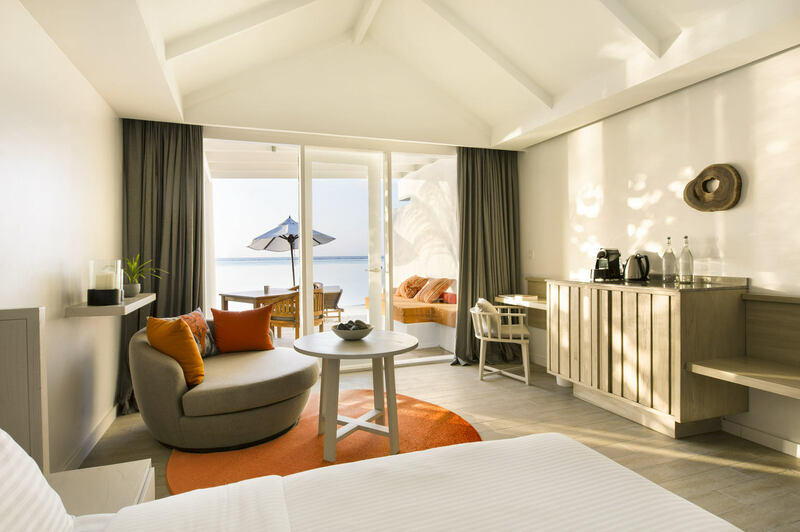 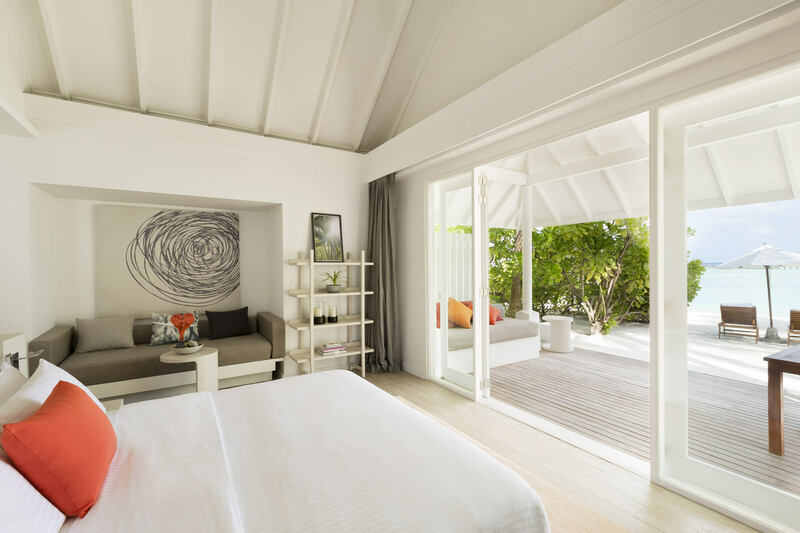 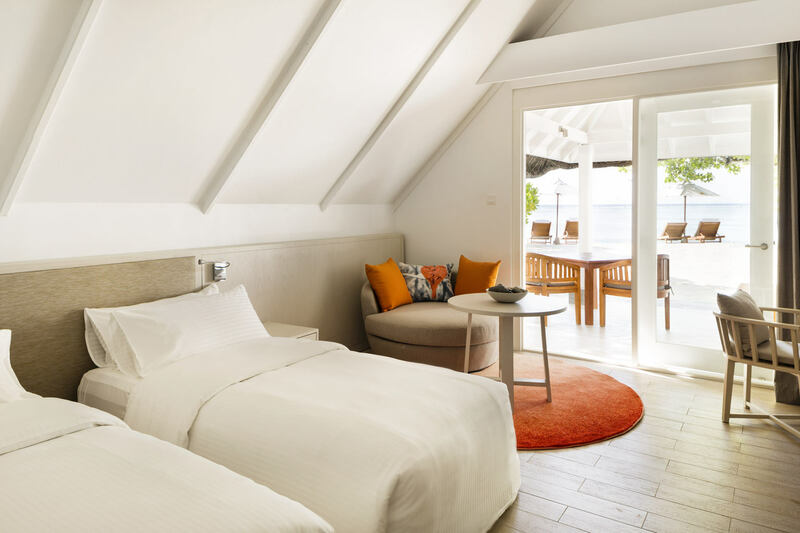 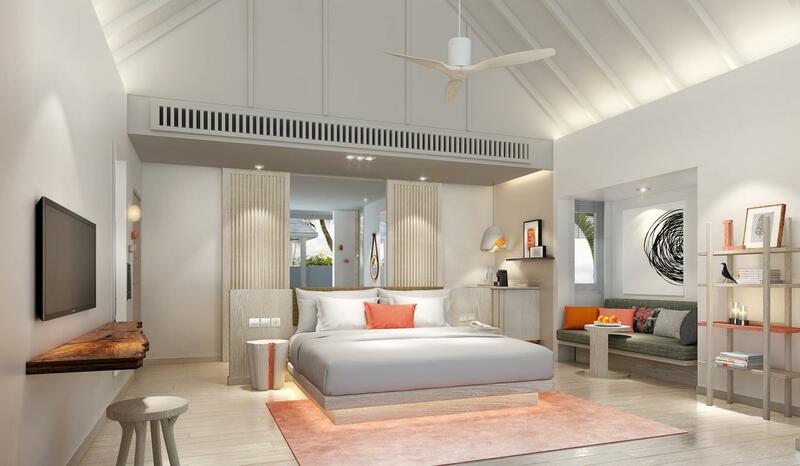 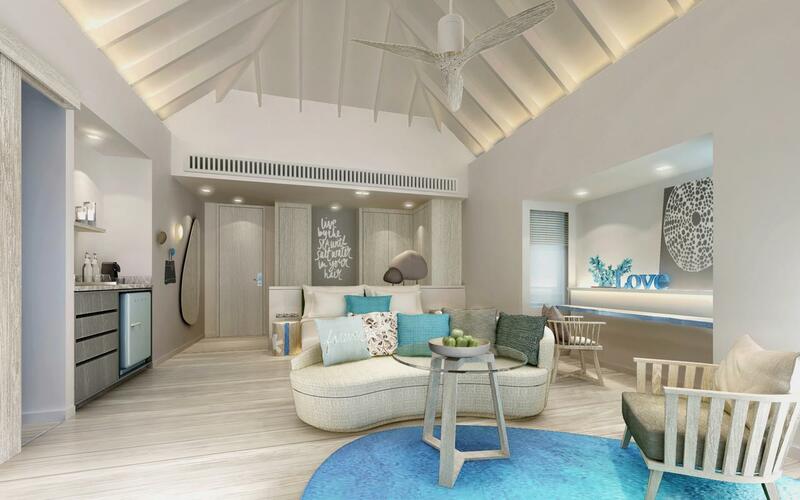 With a spacious bedroom and king sized bed plus sofa bed, an over sized bathroom with a large bath tub and separate shower, plus a day bed and sun beds on the sun deck, the Water Villas make for the perfect romantic Maldives getaway.